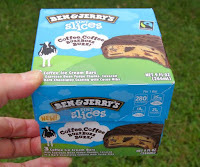 Calories: 280 calories in 1 "slice"
Welcome to Day #7 of Chocolate and Ice Cream Theme Week. 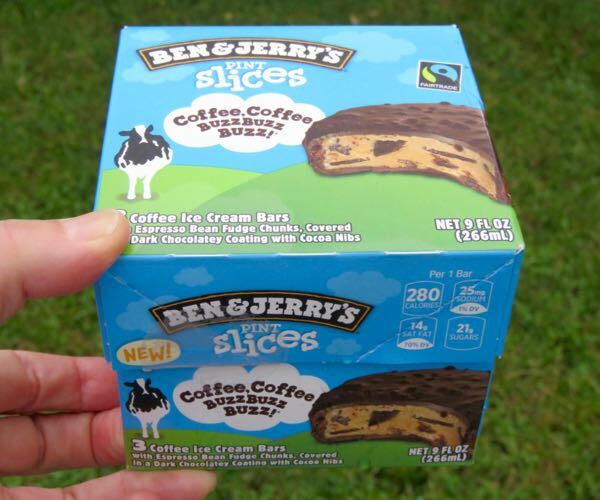 Today's Coffee, Coffee Buzz Buzz Buzz Pint Slices from Ben and Jerry's Homemade, Inc. (Burlington, VT) were comprised of coffee ice cream and "Espresso Bean Fudge Chunks, covered in a Dark Chocolatey Coating with Cocoa Nibs." 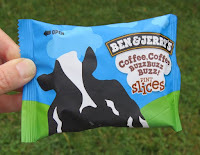 Famous for their pints of ice cream with the famous black and white cow* (and favored by late afternoon and evening snackers), the company's individually-wrapped Pint Slices were the love children of a chocolate-coated ice cream bar and a hand-held ice cream sandwich. 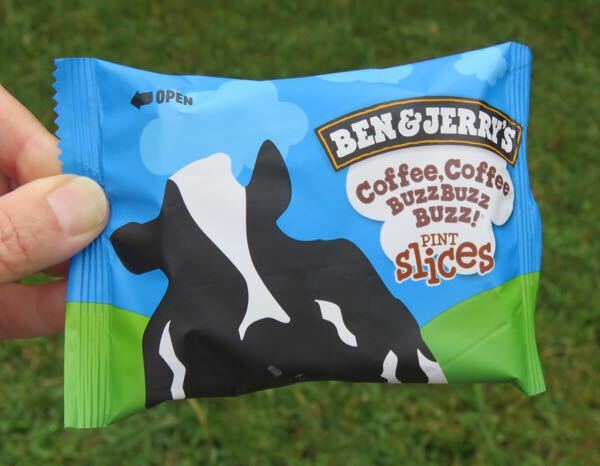 * The iconic Ben and Jerry's cow was designed by Woody Jackson in 1979. 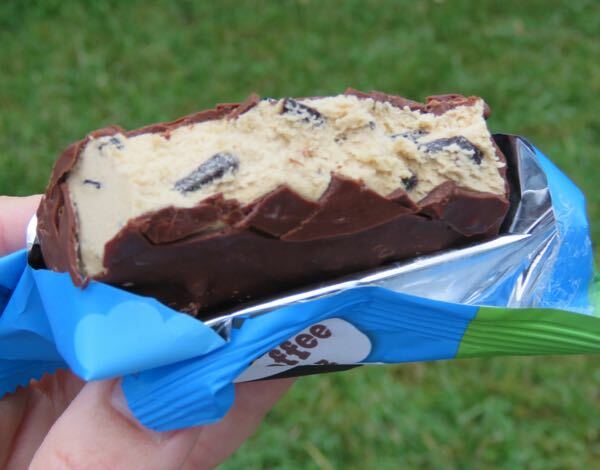 **I sample chocolates first thing in the morning.